Thank you to everyone who recently participated in the fundraiser for a summer trip for the girls, it was truly a success! All 21 girls and four of the staff were able to go to a campground for several days, all meals included. Everyone seemed to really enjoy themselves. We’re glad we could send these kids on a mini vacation before their school year started. And if the kids at El Puente weren’t awesome enough, on the way home they decided to stop at a hospital and pray for some of the people on the inside. I have to be honest, I am really inspired and encouraged by these girls, to have such hearts. Also, we received the Technical Report for the month of February, in addition to having sessions with the girls, both the social worker and psychologist started meeting with the house moms, in order to train them, since they're the ones spending most of the time with the girls. Norma and Luz, our Social worker and Psychologist also reemphasized that the goal is to safely reinsert the girls back into family who wants them and with the construction of the two houses for the girls, it will provide a group home/ family like setting and less like an institution. We thank the Lord for His boundless blessings for El Puente, for every child and staff member. And thank you all for your prayers and support, it’s doing more than you know. 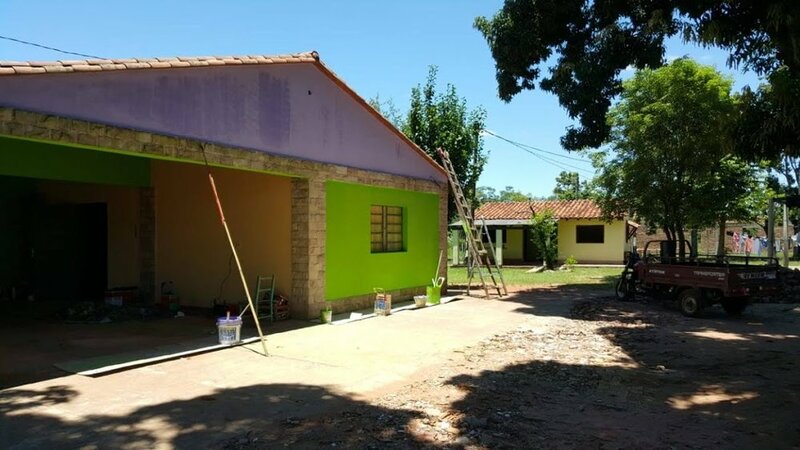 Hope everyone had a good St. Valentine’s day, we received a report from Osvaldo, the house manager of El Puente and photos of the newly painted house for the girls. Please take some time to look at the pictures and read portions of the report, it’s encouraging and continue to pray for these awesome girls and all that Jesus is doing for them, enjoy! ”I am writing you to let you know that the painting and the new rooms are finished. The construction feels very spacious, comfortable and pretty. Almost all the girls have moved in already. I also wanted to inform you about some plans we have with the older girls, (with help from the staff Rocio and Maria Luisa), to bring back the Toy Library, at the church near us, which is almost finished. We're planning on doing this every other Saturday. All the girls are very excited about this commitment. This will help them in their emotional, spiritual and personal development. It is very encouraging to see them being interested in giving to others what they have received, and to evangelize through these activities. Several of the older girls are involved in the local church and youth programs. In regards to the appreciation and the respect that we have earned with all the government and legal entities, I wanted to let you know that we're constantly receiving phone calls, as we are already well known for our accomplishments with at-risk youth with behavioral problems that have come to the Home. For all this, we give thanks to God, for always helping us and giving us the wisdom and strength in our decisions. We have ahead of us a year full of challenges and goals to accomplish with the help and guidance of our Great God. Dear brothers and sisters, now that we're resuming our activities I encourage you to persevere in this work, and I ask for your constant prayers. For just as we're advancing in our mission and commitment, also the enemy is on the prowl trying to hinder everything. But, as the Word says, Greater is He who is in you, than he who is in the world. Greetings Old and New Friends of El Puente! Hope everyone had a Feliz Ano Nuevo or Happy New Year, it’s pretty incredible that we’re already 24 days into 2019 and as always, the Lord is doing awesome things. Two members from the team went down to visit the home during Christmas and spent time with the girls, played volleyball, gave away small gifts as well as cookies. Our member Gabi, also led the girls in a devotion. 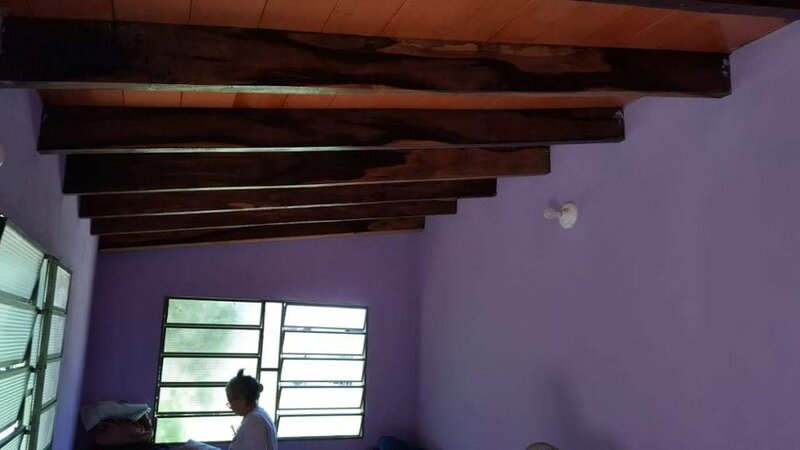 Our other member, Guillermo, received several reports about the Home as well as took pictures of the newly reconstructed building into sleeping quarters. 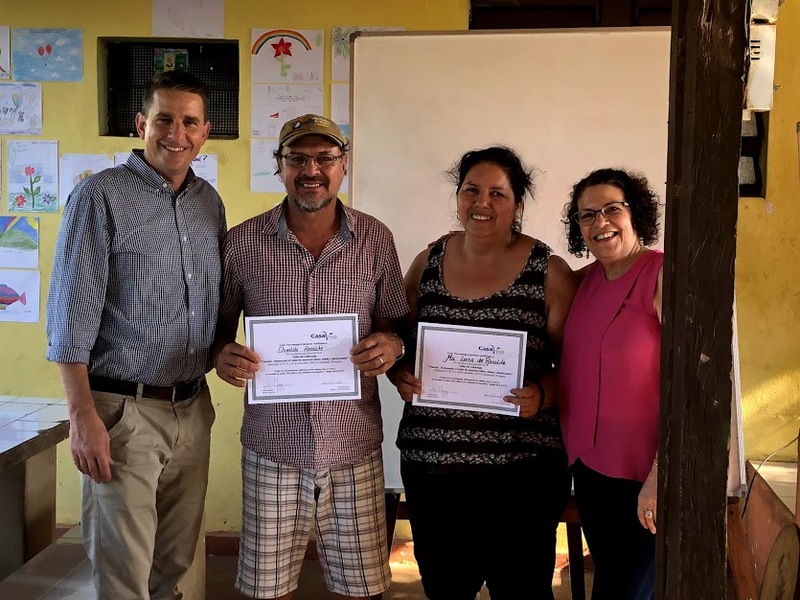 In the reports, one from the month of November and the other, a summary of the accomplishments and work that occurred at El Puente during the year of 2018. Accomplishments and work such as transitioning the children back safely back into families, hiring more staff, including 2 house mothers, and gardeners. The farm has expanded and again, sleeping quarters for the girls. Luz and Norma, our Psychologist and Social Worker, worked together to create fun activities that would encourage, educate, and give the girls self-confidence. Their activities include not just for the individual but also for the group as a whole, such as outdoor games, and dancing and baking. These ladies have done a lot for theses girls at El Puente, we are very thankful for them. The past year also brought a lot of challenges as well as miracles, one being the director’s son healed from leukemia, (read past posts for more of the story!). The LORD is good, and, “Every good and perfect gift comes from the Father of Lights…” (James 1:7). Please keep every girl and young lady in prayer at El Puente, each one is a gift, a flower coming to bloom. Please pray for their hearts and minds, that each one will grow in Christ, for the entire staff, Osvaldo, Maria Luisa and the house moms, that everything will work together according to God’s Will. Thank you to those who have prayed and/or contributed last year. Please pray and consider continuing to help in 2019 and be a part of all that God is doing in this beautiful spot in Paraguay. 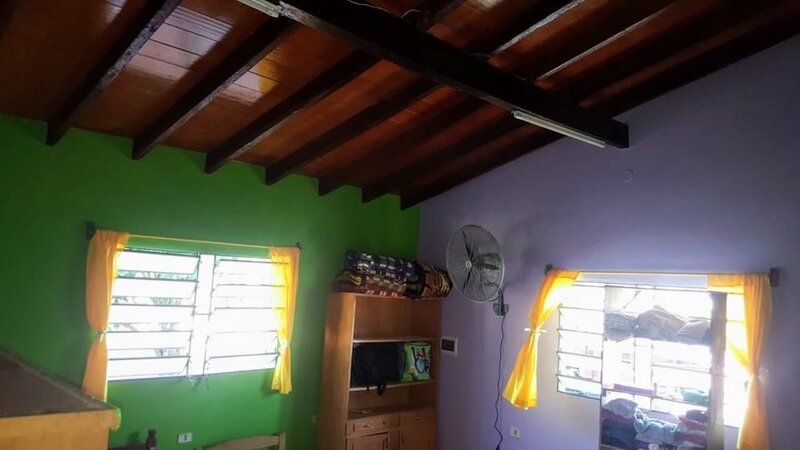 Osvaldo wanted to share with everyone the progress made so far in the reformation of the multi-user room, to convert it into a second residential unit for the girls, enjoy the pictures and please continue to lift everyone and all activities in prayer! One of the highlights is an activity they did with the girls to explore the idea of self esteem. Each girl was asked to draw herself and then explain to the others what attributes or characteristics define them. The title of their drawing was "This is Who I Am", and it was meant to help them articulate how they see themselves, as well as encouraging empathy among them. In another exercise, they were asked to write down 2 or 3 lines that defined them, either physically or mentally, and then read it to the rest of the group. While sharing, they identified the similarities among them, as well as the traits or experiences that make them unique. This was also done to foster empathy among them. The technical team went to the Home 3 times this past month. I just want to acknowledge the great work that both Luz and Norma are doing. Their involvement in El Puente is so vital and I'm glad they joined the team. 1) Three Christian brothers from OSA came all the way from England to be a part of the training. 2) The one updating this website was exceedingly blessed by a Friend from El Puente to receive a round trip ticket to go to the Home and also attend the training, as well as have time to spend with the girls and make art projects with them. This trip was such a blessing in so many ways, I simply don’t have enough writing space here to include everything that the Lord did. The drawings that you see on this webpage are from this past recent trip. 3) Phil and Sonia both did a wonderful job teaching and explaining how and when trauma affects a child, what signs to look for, how to respond to such a child, and what their staff did in helping traumatized kids with some their inner issues. They also encouraged (in the proper time) to let the kids be fostered for a day, then two, then five, etc, as this pattern seemed to be effective, which could possibly lead to adoption, the ultimate goal. Because ideally, God wants kids raised by a mother and a father. Amen. 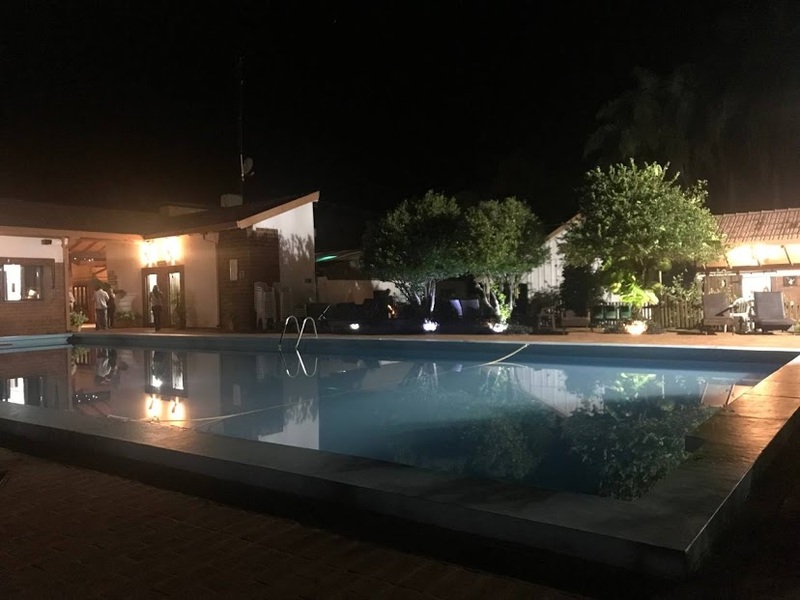 Highlights: the technical team is working with the lawyer on a plan to search for the families of origin and, where appropriate, start working on the reinsertion process. They're also working on an Admission and Egress Policy for the Home. As discussed before, this should better define the specific criteria by which a girl may be admitted to the Home, or leave it. Whenever Norma and Luz come to the Home, they often try to meet with the girls individually as well as in a group and teach social activities. They also taught about active listening and about control techniques that help improve emotional behavior in adolescents. El Puente also welcomed a new house Mom this month. I went to El Puente for an afternoon last Thursday. I took some friends with me from the animation industry in Paraguay, who had never been. We had a great time playing volleyball with the girls, enjoying a merienda, and watching cartoons together.